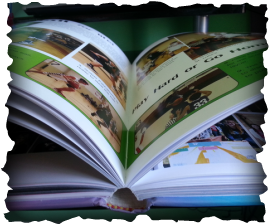 Have you ever Heard of a printed yearbook that actually plays animations or videos? that actually makes the pages come alive! 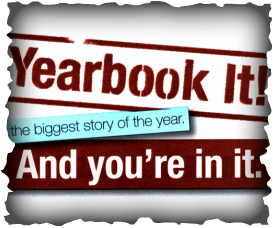 2018-19 Yearbooks will be on Sale during Registration on July 26th & 27th for the Lowest Price of the Year $100 which includes name or Monogram and a clear protective cover. No pre-orders after March 1st. We order a limited supply of extra books which will be full price at $135 and are first-come, first-serve. Senior Recognition Ads are on Sale Now through Nov. 30th. Space is limited so order early to ensure your page. Payment Plan available of 4 payments throughout the year. ​for weekly updates on all things YEARBOOK. We are the Alma Bryant Hurricanes and the name of our yearbook is the Notus. This name was chosen because NOTUS was the mythological god of the South Wind, one of the four Wind-Gods. He was the wet, storm-bringing wind of late summer and early autumn. 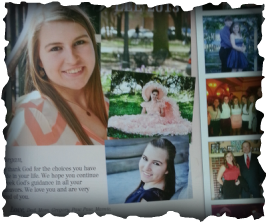 Hurricane season blows through in late summer and early autumn so Notus was chosen to brand our yearbook. Pretty cool, huh? gives you access to all the photos and memories your school creates at ReplayIt.com. See and share your photos from the 2018-2019 school year! ReplayIt.com is your school's home for all the photos uploaded by the school community including photos from the classroom, sports, hobbies, clubs or even photos with friends. start seeing and sharing photos from the school year. photos as you take them from your phone!